It’s official. The FAA announced this morning at 10:15 AM EST that it has finalized the Part 107 regulations, which will now be implemented. Section 333 exemption holders will have the OPTION to operate under Part 107 or Section 333. Current exemption petitioners will likely be told that part 107 will now cover their operations. Exemption petitioners may have the option of continuing under Section 333. If your exemption petition asks to fly beyond part 107, you will be converted to a Part 107 waiver. Summary of Part 107 Rule. of Part 107, Click Here. The FAA announcement today was a long time coming. Part 107 of the Federal Aviation regulations is being finalized. The FAA will publish the FAA final rule today. The part 107 rule will not be in effect for 60 days after publication on the federal registrar. It will take 5 days or so before Part 107 is published in the Federal Register. Eric Almond: Good Morning everyone, welcome to the call. I am Eric Almond, I am from the FAA’s UAS’ Integration office and I want to thank everyone for joining the call. Before we get started we would like to welcome Tara Lyons, from the White House Office of Science and Technology Policy. She will say a few words and then we will get started with the remainder of the call. Tara Lyons: Thanks Eric. Hi everyone thanks for joining us today. My name is Tara Lyons, as Eric mentioned, I am the policy advisor to the Chief Science and Technology office here at OCP. At the start, I would like to thank Administrator Hurata, and Earl Lawrence and his team including Eric at the UAS integration office as well as the countless others at DOT and the FAA who have been integral in the developmental of this rule. OSTP remains enthusiastic about this fast growing industry and emerging step of technology that is associated with it. We are enthusiastic about this rule and its first step to full and safe integration of the national air space system. It is a priority of ours to continue working with the FAA with all of you to ensure that future rule making continues to enable innovation and also reflects the needs of the industry. It is critical for the US to maintain scientific and technical leadership in this area by fostering expanded R&D, investing in technical development and encouraging growth of domestic US industries. This is both for the sake of economic and scientific advancement and also for the sake of national security. Today, in conjunction with the rule role out we also announce an event with government, academic, and industry stake holders of the White House later this year. Focused on the potential of UAS to enable high impact research, create new jobs and industries, save lives, and improve the way that government agencies and companies do business in this merging field. So I want to encourage all of you to tell us more about what your organizations are doing to support positive applications of unmanned aircraft and technology. Also best practices of around privacy protections on the web form that we set up on the White House back up website. There is a link to that form that was released by the White House this morning. Many of you have already been deeply involved in the informing decision making processes about this rule and I want to encourage you to continue giving your input as the policy making process around this issue evolves. Thanks again to all of for your patience and your dedication and the FAA team for their tireless work on safe integration and with that I am going to turn it back over to FAA to walk you through the major provisions of the rule. Eric Almond: Thank you Tara. As Tara has mentioned the Department of Transportation – FAA will publish the small UAS final rule today. I want to be clear that this will be the publication of the rule. The rule will not be in effect until 60 days after publication on the Federal Register and that won’t happen until 5 to 7 days from today. Sometime in late August the rule will be in effect. This is a big milestone and the first of FAA regulations to address unmanned aircraft. We are going to walk through the major provisions of the rule. As we are doing that feel free to email questions that you have to uashelp@faa.gov that’s uashelp@faa.gov. Now I’d like to turn it over to Hoot Gibson the FAA’s Senior Advisor on UAS Integration. Hoot Gibson: Thanks Eric and thanks Tara for those great words. I would also like to extend to everyone on the network both the government and the private stake holders for all of the work and the effort they have put forth to get us this far. I guess thank you in advance and pay it forward it you will as we continue to move this industry ahead. This is a significant day in aviation. I think whether we recognize it today or not. We will probably in the years to come. What a significant change it is. It is the most fundamental change in aviation as many of you have heard me say. Just some of the wave tops here on the rule I will touch then I will turn it over to my colleague John Duncan, out of the flight standards office, who will go a little more into the specifics especially in the pilot certification. Designed for daytime only operations: there are combinations for civil twilight which is 30 minutes before sunrise and after sunset with appropriate lighting. Designed for visual line of sight only. The minimum average age: Lowered to 16 years old. I think RPM had it at 17 to put this in line with manned operations. Operations over people: remains for those who are participating in the operations are appropriate and not for folks who are not participants. Operations over people are not permitted by this rule. Many you of know, since we are talking to stakeholders right now, that the micro arc was designed to address that and will be out for review very shortly. Pilot Certification: There will be a remote pilot certificate. There will be pilot command in authority. John will go into the requirements to get you there in just a few moments. Accident Reporting: There were several views on this. The current rule has that if you have an accident or incident in which property loss was $500 or more then you have up to 10 days to report to the proper authorities the circumstances of that accident. The white tops are very similar to what many of you were expecting. I’ll turn it over to John Duncan of the Flight Standards Organization. John Duncan: I’ll cover a number of other provisions that are significant of the rule. External Load operations: They are allowed under the rule. As long the load is securely attached and doesn’t adversely affect the flight characteristics of the aircraft. Transportation of Property for Compensation or Hire: Is allowed under the rule. The total weight of the aircraft and the payload cannot be more than 55 pounds. The flight has to be conducted under visual line of sight and the flight has to be conducted solely within intrastate operations. Pilot Certification: We will be issuing certificates that are remote pilot airman certificates with small UAS ratings. For those folks who do not hold a Part 61 Certificate, they will be required to take a knowledge test at our knowledge testing centers around the country. They will have to be bedded by TSA and then a certificate will be issued with a small UAS rating. For those folks who have a Part 61 Pilot Certificate right now and who have more than a student pilot certificate and who have a current flight review, they can take an online test and they will at that time be eligible for the issuances of a temporary small UAS Pilot Certificate. They can operate at that time. The aircraft requirements under this rule – the FAA airworthiness certification is not required under this rule as it was under Section 333. Part 107 does not apply to model aircraft with that regard. All of those provisions are waiver able. We are putting in place streamline waiver processes that will allow for efficient application and issuance of those waivers. We are still working with Section 333 exemptions. The Section 333 exemptions petitions fall under three categories. One is that the requirements that were asked for under the petition fall under Part 107. The petitioner can operate under Part 107. Another category is that they have asked for are provisions that are not covered by Part 107 can be covered by waivers of Part 107. That group of exemptions and petitions will be automatically considered and waivers will be issued to those folks for that group of exemptions and petitions. The third tier is exemptions that will be required even with the rule. There are certain circumstances that they are asking for that exceeds the provisions of the rule. We will continue to work those. I look for your questions and will hand it back to Hoot. Eric Almond: Thanks Hoot and thanks John. As I mentioned earlier we are taking your questions through email at uashelp@faa.gov. We have a number of questions already. In the room we have many FAA experts including the Chief Counsels office and we will go through the questions and answer as many as we can. If we have any IOUs or other questions, we will be able to update our information our website later today or tomorrow. Question 1: Will operators still need to report under TSB 830 for accidents and incidents? Answer: Operators will have to comply with any other requirements separately from FAA requirements. That is a TSB requirement, so they would have to comply. Question 2: What does the FAA define as a serious injury or accident? Is it property damage in general or is it that specific as well? Answer: We define it as a Level 3 or higher in Abbreviated Injury Scale. It’s the same the criteria used for NITSA and by FAA in commercial space regulations. The Abbreviated Injury Scale is the code used by paramedics for code on incoming injuries and this is what we use for DOT and this is what we will be using here. Question 3: How do Part 61 Certificate Operators remain current for small UAS? Answer: There is a requirement for a knowledge test to be taken every 2 years. There is no other currency requirement for Part 107. Part 61 Pilots who comply with the flight review every two years, just like when they take the initial knowledge test, they can take the online knowledge training course instead of the current knowledge test. If you are not current on your flight review you can still take the knowledge test instead. Question 4: Related to 107 Part 91. Is 107 exclusive or do other requirements still apply such as following TFRs and how does Part 107 interact with Part 91? Answer: If you are under 107 with some exceptions generally you are excluded from 91, but generally applicable concepts like TFRs – like no flying while intoxicated concepts careless or reckless. Those have been either copied over to into 107 or they are one of the exceptions for 91. Question 5: Are cloud clearances in Class G clear clouds or is there another cloud clearance? Question 6: With operations in B, C, D, will small UAS need to meet equipage requirements as outlined in Part 91 the same as manned aircraft? Answer: This is Phil Davis, part of the ATO Leading Integration of UAS into the NAS Flyer Space System. At the moment the answer for equipage is no, but we are still working out the process by which we will manage the access into controlled airspace. We expect to do entrance into Class D and lower E airspace after the rule becomes effective. Then using a risk based process, which is how we manage all of the changes in NAS, then have a progression migration into Class D, C, and B airspace. The next few questions have to do with Section 333 operators. Question 7: Can Section 333 operators continue to operate under their Section 333 exemption until they expire without having to use Part 107? Answer: I will answer that. Brandon Roberts from the Office of Rule Making answering this question. The Section 333 exemption holders may continue operating under their provisions of their exemption. If they so choose. They have the option to electing to comply with Part 107 if they would prefer to operate under the terms of Part 107 in its entirety. It’s up to the Section 333 exemption holders. Question 8: Follow up question to that we have to that was – What happens to the Section 333 petitions that are pending? Answer: John had mentioned earlier that we have been going to the pending petitions for exemption 333 and assessing those for what category they fall in. The largest by far category that we’ve seen so far, having evaluated several thousands of these petitions, is that the operation that they propose to do would fall under the provisions of Part 107 and they could operate under Part 107 without an exemption. We intend to notify those outstanding petitioners, over the course of this week that the operation that they proposed would be allowable under Part 107. The next category that John mentioned were petitioners whose operation would be waiver-able under provision 107. Examples of that would be for example the closed-set motion picture filming where we say you cannot operate directly over people under Part 107. So if you are proposing to do an operation like that that would be waivable under Part 107. We have identified those operations in the Section 333 is what we are calling Tier 2. Those petitioners will be notified that what they’ve asked for in exemption is waiver-able under Part 107 and we are transferring them directly into our waiver process. They will get a letter that will notify them that no further action is necessary on their part. We will continue to process their petition as an Application for Waiver under Part 107. The final categories we are identifying in the backlog of Section 333 are those operations that neither did they comply with Part 107 nor would they be waivable under Part 107. So, those petitioners would still require an exemption under Section 333. We will continue to process those specific ones as exemptions. An example of that would be things that are heavier than 55 pounds – 55 pounds or greater. That is not a waiver able provision under Part 107, so they would continue to be processed as an exemption. Question 9: When will the Part 61 Pilot On-Line Exam be available? Answer: It will be available on the implementation date of the rule. This will be in late August. Answer 10: When will the Part 107 Knowledge Exam be available? Answer: The training course material is available today as I understand it. You cannot get a certificate until the implementation date of the rule. Question 11: Are any of the provisions in Part 107 waivable or only exemptible? All of those are waiver able provisions. Question 12: Will the final rule detail how UAS operators get permission to operate in Class B, C, and D aerospace? Answer: Bill – I do not believe that is in the final rule, but it says you have to ask for authorization. We are working through that process on how that authorization process might work. Again, our strategy is to work first on lower E and Class D air space, shortly after implementation. Then progressively do migration into more complex Class C and Class B airspace and those procedures are under development and we will roll them out as rapidly as we are able to. The details of what those requirements might look like are under review now. We are trying to manage this as well and as elegantly as possible recognizing that there is a lot of risk analysis that needs to be understood and done – based on experience some of us we do not have very much of yet. That will be ongoing. We are committed to make this happen as well as we can and as soon as we can. Please anticipate a risk based metered approach to progressively allow access into more complex airspace. I just want to pause here and remind everyone that you are just joining if you have a question to send in. Please send it to uashelp@faa.gov. Their information about the small rule and much of the content of the small rule. Some of the specific things that we’re talking about here can be found on our website faa.gov/uas and so we will continue on with our next question. Question 13: For damage requiring accident reporting – $500 threshold. Does that include UAV damage only, external damage, or both? Answer: It does not include any damage to the aircraft. If you damage another aircraft that counts. If you destroy your own aircraft that does not count towards the $500.00. The Part 61 Training Course is available on faa.gov/uas or will be available on faa.gov/uas, hopefully today. Question 14: Under Part 107, will pesticide application be allowed? Answer: For the distribution of economic poisons, pesticides and that sort of things Part 107 still applies. So, there would be a requirement to comply with Part 137. We already have 1 UAS under Section 333 that does have a Part 137 Certificate. Question 15: I think we may have covered this earlier, but we will just repeat it just in case anybody joined late. Will intrastate operations be permitted only or interstate? Answer: The intrastate or interstate distinction only matters if you are carrying someone else’s property for compensation or hire. If you are not carrying property, if you are just taking pictures, or doing something with you UAS that is not the carriage of property, it does not matter if you are intrastate or interstate. If you are carrying property for compensation or hire you can only do that with a state. Thank you, Alex. I know Brandon covered a lot about Section 333 and there are probably a lot of people that are on the phone that have questions about Section 333. Question 16: Will the FAA continue to issue Section 333 exemptions before implantation of the rule? Answer: So, we have been reviewing the Section 333 exemptions for what operations would be allowed under the rule. So there are two answers to this questions. 1.) Yes, some exemptions will be issued after today. We believe that the bulk of the backlog of petitions for Section 333 will be covered by Part 107 directly or waivered under Part 107. So, most of the petitioners who have been waiting under Section 333 petitions will be covered by Part 107. That’s not to say that we will not continue to issue Section 333 waivers for operations that cannot be covered under the rule. Question 17: Reading question as is: Pilots with Part 61 certification need to take an online test. Will the test be over the internet or must the candidate go to a test center? Answer: They will be required a Training Course. There may be some questions on that to check your knowledge, but that is available over faasafety.gov. Question 18: If an entity has a Section 333 exemption already, will they will be able to operate under Part 107 during the 60 day implementation period? Answer: No, they won’t be able to operate under Part 107 until the implementation date. Question 19: Will they be able to operate under Section 333 exemption after the effective date of the rule? Answer: If they choose to the distinction that was raised earlier is you have to choose one. You operate under the provisions Section 333 or operate under Part 107 after the implementation date. Question 20: Are aero nautical testing centers ready now? Answer: Aeronautical testing centers will be ready at the implementation date. They will not be able to give the test until the implementation date of the rule. Question 21: What was the reasoning behind decreasing of the maximum altitude to 400 feet from 500 feet as it was in the notice of proposed rulemaking? Answer: Generally speaking, GA operates down to 500 feet. So, 400 feet was designed to give them buffer between what amounts to GA traffic and the operation of UAS. Question 22: Will there be a list of normally available waivers? Answer: Yes, that will be posted on faa.gov/uas. Question 23: To what extent if any does the final rule address unauthorized small UAS from flying over critical infrastructure facilities? Answer: It applies as the same airspace for all other aircraft. If a manned aircraft is permitted to fly over a facility then so is a UAS. Places where manned aircraft are not permitted to fly, such as TF temporary flight restriction, UAS are also not permitted to fly into those places. Question 24: How does Part 107 impact the 500 foot non-participant set back? Answer: It doesn’t have it. That set back was only the exemptions – it was not included in the interim and not in the final rule. The final rule prohibits flying over a person and it’s up to a pilot to ensure to determine what buffer is needed. So that they never fly over a person. Question 25: What operations over people operating under a Section 333 exemption for closed set movie making operate Part 107 with a waiver since they can operate over participates? Answer: As John noted earlier, that flying over people is a waivable provision under Part 107 and they could operate over people under waiver under Part 107. Question 26: Are there any specific provisions for research uses of small UAS by faculty and post doctor candidates at universities? Answer: There are no special provisions of that nature, however, the waiver process is available or necessary to expand the use the Part 107 and the exemption process will continue to be available as well. Thank you, John. I just wanna remind the folks on the phone that we are getting a nice stream of questions. If you have question relating to the small rule or anything that we are discussing, please send those questions to uashelp@faa.gov. Many of the questions will be answered on our website which at faa.gov/uas. Question 27: Does the rule apply to recreational non-commercial users not covered by a community based organization? Answer: Part 107 applies to any person not satisfying all of the elements of Section 336. Question 28: You mentioned a broad list of potential waiver areas. Will there be some guidance that allows businesses to predict whether or not their waiver will likely be granted? Answer: We will have website where the waivers that have been granted are available, so that you can see what has been granted. Keep in mind that the nature of a waiver is to allow latitude in the kinds of operations that are going on. So, I wouldn’t want to limit the creativity of the community to those that have already been granted. Question 29: If a current Section 333 holder requests to operate under Part 107, will this be granted? Question 30: Can you please clarify if a licensed pilot needs a UAS rating? It wasn’t clear. Answer: A licensed pilot needs a small UAS rating. You can get that by taking the online training course and then apply. The online training course is available today, but cannot apply until the effective date of the rule. This is in late August. Question 31: What are the airspace restrictions Class B, C, and D specifically? Will we need a waiver or coordinate with airspace managers? Answer: You’ll need an authorization to enter Class B, C, and D space. We will develop the procedures to grant that process and grant those authorizations in the coming weeks. The idea is to use, I mentioned before, a risk based metered approach which will start in the least complex airspace Classes E & D and then progressively move into Classes C and B. We anticipate that there will be a web based authorization or make the request and they will be managed through a process between within the FAA and the answer provided. It is not anticipated that you should not be directly contracting specific towers or air space managers, but working through a centralized process. We are hoping that this will speed the process, ease the process, and standardize the process across the country. 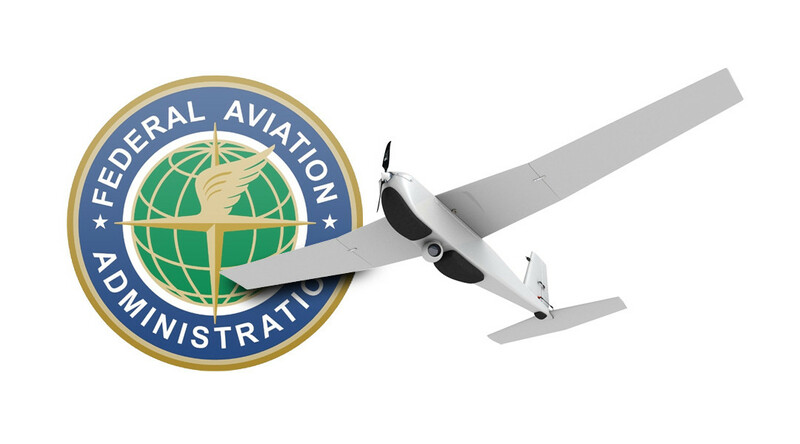 Question 32: Are NOTAM (Notices to Airmen) required for routine UAS flights? Question 33: Is there an ability to fly above 400 feet within 400 feet of a structure? Answer: If you are inspecting a tower that might be 1000 foot tall, as long you stay within 400 feet of the tower, that’s authorized. Question 34: When will the fact sheets be up online if they are not posted now? Answer: They will be posted within the next hour. Ok, the fact sheet, if you go to our website at faa.gov/uas – you can see the press release and the fact sheet is it at the bottom of the news release. Question 35: You can estimate the time frame for consideration of those exemption applications that still may require approval? Answer: To put this in proportion. We know that the backlog for Section 333 exemptions is several thousand. We believe that the vast majority of those several exemptions will be covered under Part 107, which will decrease the backlog for the Section 333 exemptions that would still need to be processed outside of Part 107. I do not have a good estimate how long that that would take for an exemption that would be completely outside of Part 107. We do plan on significantly decrease the backlog, because most of these petitions will transfer directly to operations under Part 107 or be transferred into our waiver process, which should be expeditious. Question 36: Is there any insurance requirement for commercial operations similar to Part 135 in manned aviation? Question 37: Related to airports – Are there any provisions that would require notice or coordination when operating near airports which are outside controlled air space? Answer: There is no requirement in the rule to coordinate with an airport, if the airport is in Class G airspace then NO there is not a requirement for notice even with air traffic. If the airport is in any other Class of the airspace, you would need your authorization to operate in that airspace. But then we will caution everybody that you still have the requirement to operate and not interfering with an airport which is Part 107.43. I believe. Operations of the Vicinity of an Airport Part 107.43. So you still have to maintain and conduct your operation in a safe manner, but if it is in Class G airport, you can operate up to the airport as long it’s considered in a safe manner. Question 38: If I’m a Part 1 license holder and I take an online to test for UAS and I pass – I am operating a UAS – is my Part 61 license at any risk or just the UAS rating portion? Answer: That is two separate questions. First of all there is no test or online course that you must take. That is on faasafety.gov. The question of what part of your certificate may be in jeopardy depends on what you do. It is possible to act so irresponsible with a UAS that it may impact your other certificates. We look at each situation and we determine what is required to correct the problem that we have identified and we take the appropriate action. As I have said, if somebody is operating an UAS in such an irresponsible manner that it would have a tendency to reflect on their overall airman decision making – aeronautical decision making skills and so forth – we would take whatever action is necessary. Thank you, John. Just a reminder for those of you on the phone we will continue our call for another 10 minutes. Until 11:10 a.m. Question 39: Will UAS commercial training be allowed? I assume that this means that can you train under commercial training? John – Can you train compensation under Part 107? Answer: John – Under Part 107 a non-licensed pilot can operate the UAS under the supervision of a licensed pilot and training can occur under that circumstance. Question 40: How does Part 91.119(b) rule apply to UAV operations in congested areas under Part 107 rules? Answer: Part 107 prohibits flying over people. If you are under Part 107 you are exempt from Part 91 with some exceptions. As far as air space and altitudes those are all set out in Part 107. So Part 91.119(b) rule would not be applicable to you. We have covered this topic before, but I am going to ask the question again just to make sure that everyone has heard the answer. Question 41: When will the FAA Testing Centers be ready to accept applicants? Answer: After the implementation date of the Part 107 the new rule. That will be in late August 2016. Question 42: Will FAA Form 7711-2 be used for waivers? Answer: Yes, it will be. I will make it clear, however, we are building an online process for dealing with it and the Tier 2 exemption petitions that Brandon talked about earlier, will be done without requiring the applicant to fill out that form. We will do it for them. We covered this before lets go to the next one. Question 43: Is there anything in the rule that helps clarify requirements for model aircrafts flying near airports? Advisory Circular 91.57 language is ambiguous when it comes to notifying airport operators rather than requiring permission. Answer: The rules sets codify Section 336 for hobbyists. AC 91.57 language – let’s take if from the statute regarding notification of airports and air traffic control towers, but that is the language that appears in the rule. It is additional guidance from Congress. That’s what we have to work with at this point. We talked a lot about Section 333 Exemptions. Question 44: Will existing Section 333 Exemption requests fall under Part 107 simply be discarded? Answer: We do accept over 90% of the backlog of Section 333 Exemptions – the operations that they are seeking to do will be covered under Part 107. Because they’ve petitioned for exemption, we are not simply discarding them. We are going to notify each one of those petitioners that Part 107 is available and covers their intended operation. We will do that by formal letter in their docket at regualtions.gov. So they won’t be discarded. If we identify in their petition for exemption that the operation they would like to do requires a waiver or would still require an exemption beyond Part 107, we are going to transfer them directly into the waiver process without further action on their part or continue processing as an exemption. If that is the necessary course of action. So none of the petitions for Section 333 Exemption will simply be discarded. They will have to take action if they do not take advantage of Part 107, but still want their Section 333, even if their operation is covered. If in the letter that we are providing to these Section 333 petitioners, we know that we have categorized them as Tier 1 and Tier 2. Tier 1: Not needing a waiver or exemption. Tier 2: Needing a waiver under Part 107. Tier 3: Still requiring an exemption. We note that as of the effective date of the rule, they should have received a communication from us (FAA), if they’re Tier 2 or Tier 3, for the continued processing of their request. If they would prefer to continue being processed we categorize them as Tier 1. They can notify us and change their tier. Thank you, Ben. Thank you, Earl. Question 45: Will the rule allow flight in national parks? Answer: The rule doesn’t restrict flight over national parks. No rules today, but the National Parks Service does not allow landing or taking off from their land. This would be the same as any local entity that have the authority over land use they can decide where you can land and take off. That is not an air space regulatory issue. The FAA doesn’t allow or disallow operations over national parks, but the National Park Service does regulate who does land or take off on their land. We have time for a few more questions. We will press on. Question 46: Should state agencies pursue Part 107 operations or continue down blanket code paths to operate small public air craft? Answer: That is a determination that agency will have to make for itself. Certainly the public air craft statute is still alive and well and that is an option for operators. They determine whether Part 107 is a better fit for them. The state agency could operate under those provisions as well. Question 47: Are there any provisions specially targeted to facilitate the use of small UAS for research purposes? Answer: Federally funded or otherwise at universities. Part 107 researchers have added fewer permits in the existing structure with exemptions. However, there is nothing specifically in the rule addresses research at universities. Question 48: What are some examples of provisions that excess the rule of Section 333 exemptions? Answer: Assuming you would still need a Section 333. The best example we have of what would still need to be processed as an exemption, is an aircraft that is 55 pounds or greater. That is not a waiver able provision under Part 107, so those larger aircraft will still require exemptions. Question 49: What current public aircraft users who hold COAs today be able to exercise Part 107? Answer: They will, but they would have to operate it as a civil air craft and not a public aircraft. Question 50: Under Part 107, are visual observers still required? What qualifications should they have? Answer: Visual observers are not required under Part 107 – they allowed under Part 107. This will be our last question and then we will conclude for the day. Question 51: Will air traffic control issue a clearance near an airport or will they just advise them of our intentions? Answer: That is a topic that is under resolution right now. There’s some further consultation that we need to do amongst ourselves, within the FAA, regarding the answer to that question. We are committed to having that resolved within the next 60 days or so. Just too clear though on the question – under Part 107 it is never just advised you need a positive authorization of some type. It needs to be a method accepted by the Administrator, but you need an authorization. What we are talking about is the authorization we will be continuing to stream line from the issuance of the rule forever. We will continue to improve on how you obtain that authorization. But it is an authorization it’s not advice. That would be words used from the Part 337. That’s actually Part 336. That’s not applicable to Part 107 operations. Thank you, Bill. Thank you Earl. Just a reminder to those who still have questions, you are still looking for information. I want to thank those of you who did submit questions, but is you are still looking for information, please check our website at ffa.gov/uas. You will find a section on frequently asked questions, fact sheet, the press release, a lot of information related to the small rule. In addition that I want to mention that Tara Lyons, who kicked off our call from the White House Office of Science and Technology Policy, on whitehouse.gov there is an article called a national call for commitments to use unmanned air craft systems to protect privacy benefits, society, and further enhance safe operations. You can find that on the whitehouse.gov. On behalf of the FAA, thank you for participating in today’s call.